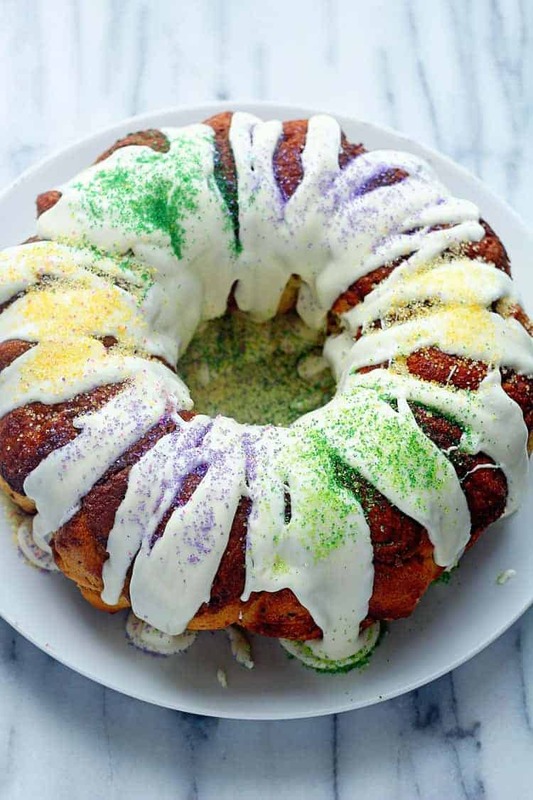 Looking for king cake recipes? 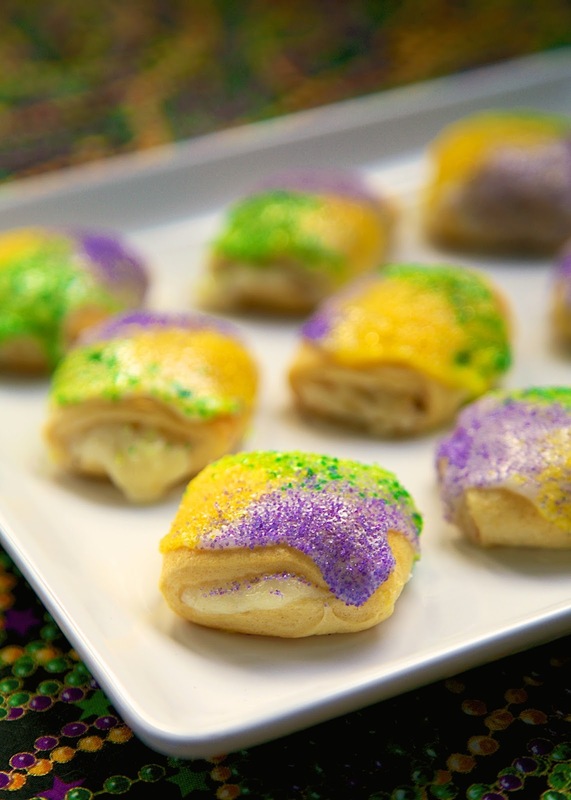 If you want to celebrate Mardi Gras with your favorite treat, try these different variations. You’re welcome! A Mardi Gras celebration for me is never complete without a king cake. We’ve been celebrating Fat Tuesday, or Mardi Gras, on the homestead for years and king cake has always been one of my favorite parts of the occasion. This year, I’m getting a bit bored with just the usual king cake recipe, so what did I do? Look for other king cake recipes of course! If you also want a new twist to your king cake this year, try a couple of my suggestions. You’ll feel like a king! Colorful and festive Mardi Gras king cake filled with traditional cinnamon sugar filling or it will also taste great with fruit filling or a cream cheese. All the flavor and colors of a king cake but in an easy to make cheese ball. So let the celebration begin with this tastefully beautiful king cake cheese ball. If you just want something fast, easy, and simply delicious, then this easy Mardi Gras king cake is a sure treat for you. You can simply do it in 35 minutes so you have more time for the celebration. Salted caramel on your king cake? Dipped, drizzled, or layered, when it comes to caramel, we can’t have satisfaction! Indulge in this salted caramel king cake. Trust me, it tastes just as amazing as it looks. Need a short cut with your king cake? A slice for everyone! 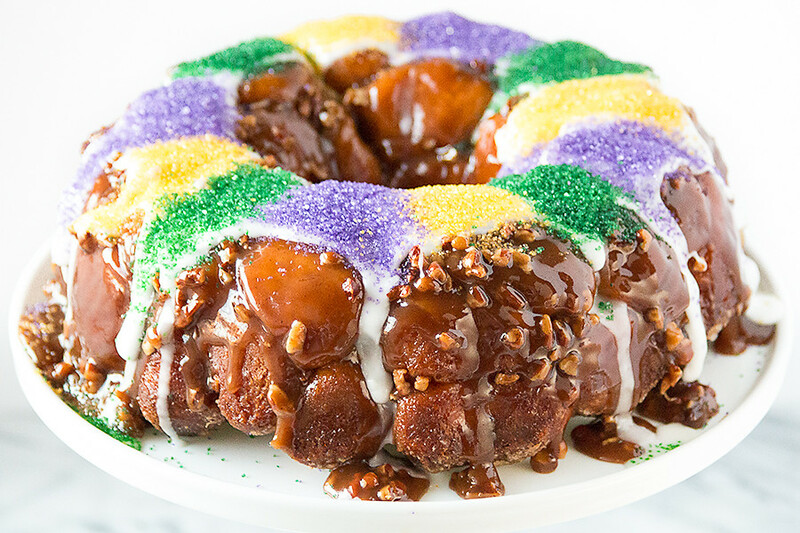 You’re sure to be a hit of your Mardi Gras party with this pecan praline king cake monkey bread. Need something gluten free? Whether you are following a specific diet or just want to get rid of gluten for some reasons, you’ll want to try this top-rated gluten-free king cake recipe. Want something a little bite-size? These king cake bars will work wonders. A surefire hit at parties and potlucks, these decadent king cake bars are simple and joyful way to feed your guests. Bars not working out for you, try these mini bites! These king cake bites are always a winner during potlucks here in homestead. I also like to serve during coffee hour. They’re so delicious that wherever I take them, they’re gone so quickly. This refreshing miniature king cake a la mode is so beautiful and yet tastes sensational. Your family and guests will surely love it. With only a handful of ingredients, it promises to deliver well-earned compliments. This tender Mardi Gras king cake doughnut is a little piece of heaven at breakfast or any time of the day you serve it. A delightful twist to your traditional doughnut that is sure to impress. There really is a thin line between crazy and brilliance. This king cake fries defy all odds, its unfortunate enough that the source is no longer available but we’re lucky that Yahoo have the recipe. Adorably witty. It doesn’t really have to have a fortune in it. When my children were little, I took them with me one day and show them how to make my famous cookie. Although we made them during the holidays, they’re pretty adorable any time of the year. I bet you’ll have more fun than ever if you do these Mardi Gras misfortune cookies with your little ones. 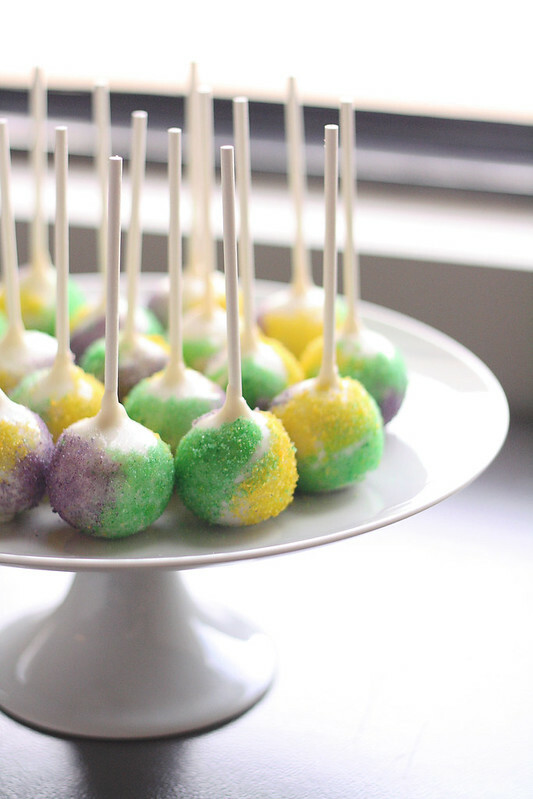 Enjoy the Mardi Gras celebration with these king cake pops. Topped with powdered sugar, kids will surely love this, and adults too! 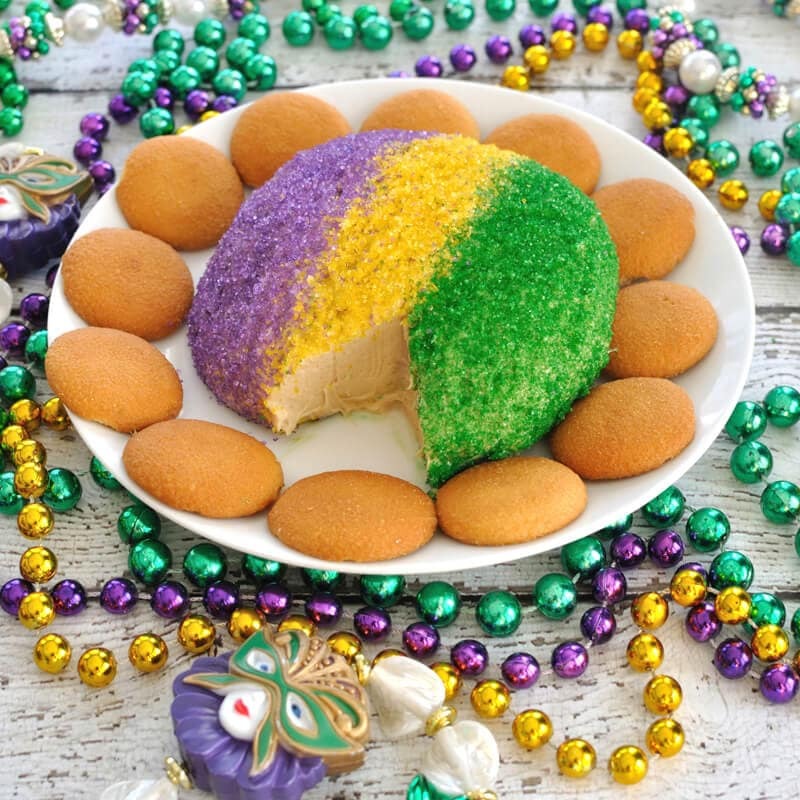 Indulge yourself in this scrumptious king cake dip. Hide a little toy baby in the dip and whoever finds it has one year of good luck! Easy to make and really delicious. 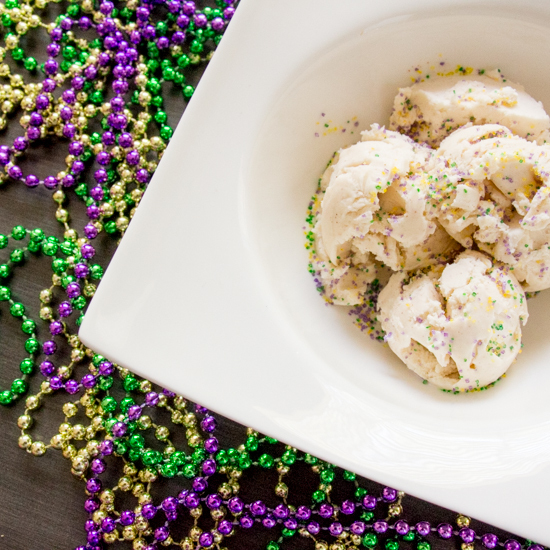 No one will believe you didn’t fret when you bring out this show-stopping Mardi Grass ice cream. On a heat of the celebration, it will melt all resistance to dessert—one cool, creamy scoop at a time. 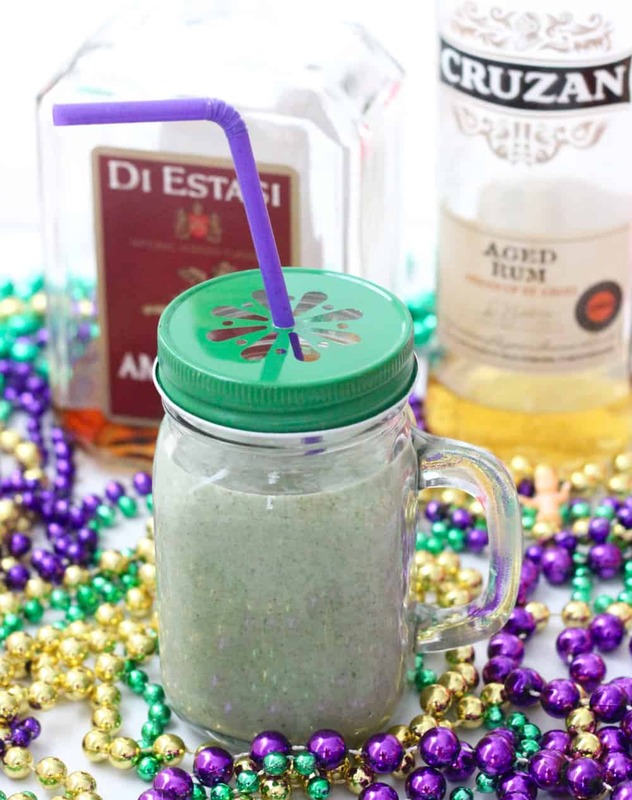 Tasty, nourishing and filling, this is your smoothie recipe for Mardi Gras. A perfect smoothie to keep the celebration going. A cocktail recipe that tastes like king cake? I’m making one today and get started with our Mardi Gras celebration. Starting early is not a bad idea especially if you’ve got the right ingredient. Aren’t those recipes extra fun for your fat Tuesday? So, I would suggest don’t just settle for one, choose 3 or more and have festive Mardi Gras at home that will surely to delight both young and old! Have a blast with your traditional Mardi Gras! 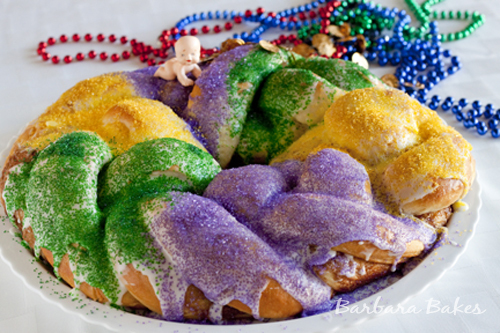 Which king cake recipe will you be making for Fat Tuesday? Let us know below in the comments! Can’t get enough of Mardi Gras ideas? Here’re Fat Tuesday Party Ideas For Mardi Gras to kick off your celebration!